Romanos I was an Armenian who became a Byzantine naval commander and reigned as Byzantine Emperor from 920 until his deposition on December 16, 944. 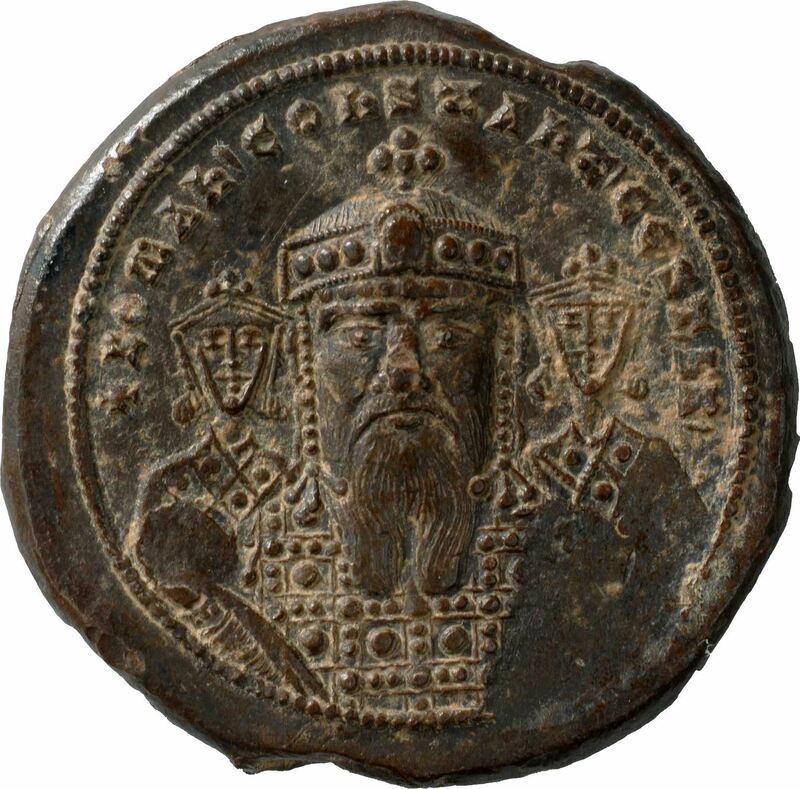 He ruled alongside his son in law, Constantine VII. Romanos I Lekapenos attempted to strengthen the Byzantine Empire by seeking peace everywhere that it was possible. He was active as a legislator, promulgating a series of laws to protect small landowners from being swallowed up by the estates of the land-owning nobility (dynatoi). The legislative reform may have been partly inspired by hardship caused by the famine of 927 and the subsequent semi-popular revolt of Basil the Copper Hand. Romanos' later reign was marked by the old emperor's heightened interest in divine judgment and his increasing sense of guilt for his role in the usurpation of the throne from Constantine VII. On the death of Christopher, by far his most competent son, in 931, Romanos did not advance his younger sons in precedence over Constantine VII. Fearing that Romanos would allow Constantine VII to succeed him instead of them, his younger sons Stephen and Constantine arrested their father in December 944, carried him off to the Prince's Islands and compelled him to become a monk. When they threatened the position of Constantine VII, however, the people of Constantinople revolted, and Stephen and Constantine were likewise stripped of their imperial rank and sent into exile to their father.